Sputtering is one of the most widely used techniques of thin film deposition of metals, dielectrics and ceramics, that often have a high melting point, such as Al, B, Cr, Ta and Si. Thin films grown via sputter deposition are known for high uniformity and the constitution of the thin film closely follows that of the target materials – as well as having strong adhesion and low density of defects and impurities. 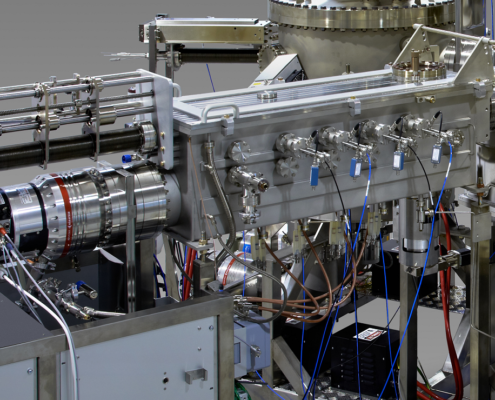 Sputter deposition, in brief, is a physical vapor deposition method where energetic ions created in plasma are bombarded to a solid target to eject target atoms into gas phase and further on to form epitaxial layers of coating on a nearby substrate. 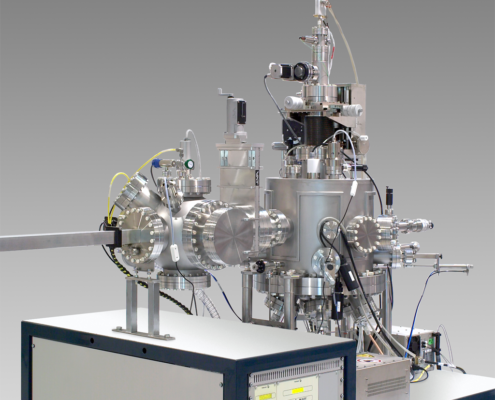 DCA designs and manufactures advanced and integrated UHV sputtering systems. 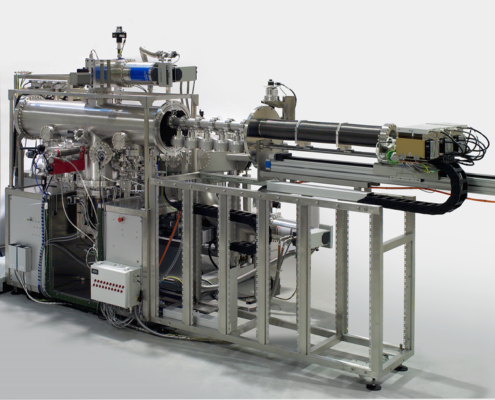 Let us know about your custom requirements and specs for your unique deposition system, and we’ll get back to you with your dream system design! Below are presented examples of some advanced sputtering systems that DCA has delivered for our exceptional thin film growing customers.